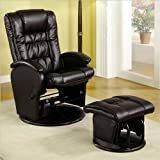 You are at:Home»Rocker Recliner Reviews»Are Squeaks and Creaks Keeping Your From Enjoying Your Rocker Recliner? 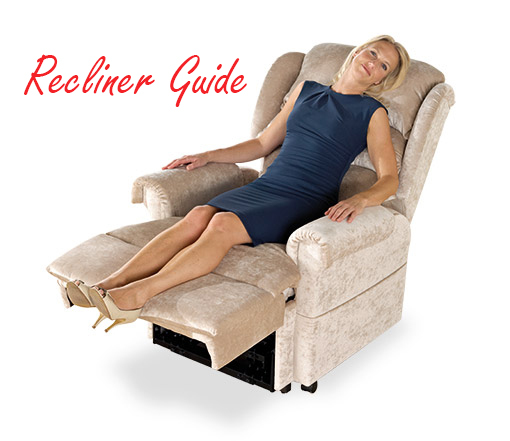 A rocker recliner is designed to be comfortable, supportive, and relaxing. Along with being able to recline all the way back, these chairs are also supposed to provide you with a soothing rocking motion. When there are loud creaks, groans, and the occasional squeaking sound coming from the rockers, it quickly becomes impossible to relax in your now former favorite chair. The Plush microfiber upholstery looks and feels great, and is a striking contrast to the Stella piping. The contemporary, overstuffed design is a great addition to any room in your house, and will blend in with your existing furniture. The spring coil seating helps to relieve stress on your lower back, and the padded arms and chair back give you plenty of support where you need it the most. This reclining chair is able to swivel 360 degrees so you never have to worry about neck strain when you are trying to see the view. The metal reclining mechanism is durable, and most importantly the wood gliders are smooth and quiet. Without any additional parts to interfere with the chair’s movements, you can rock yourself to sleep in comfort and quiet. 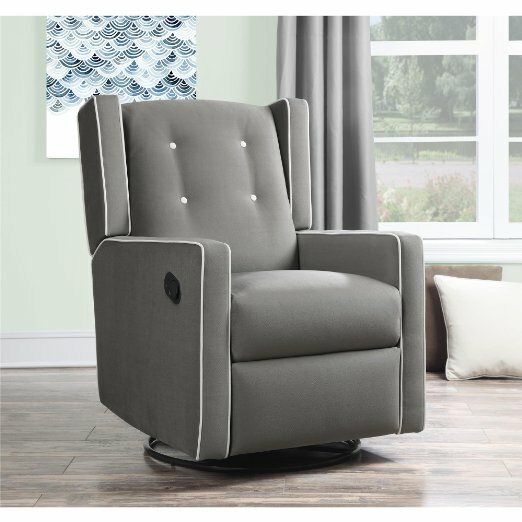 With plenty of cushioning, this oversized rocker recliner is both durable and comfortable. The sturdy plywood frame can support heavier weights, and the leather upholstery is both comfortable and easy to clean. The rocking system is not only smooth and quiet, it also puts up in an upright position. Not only does it make the chair perfect for soothing fussy infants, the additional back support helps to ease tension and muscle pains. 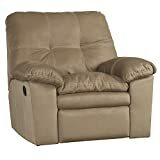 The recliner also sits higher off of the floor, making it easier to rock without making any noise. The chair is wide and sturdy enough to support larger adults, and is incredibly easy to assemble on delivery. Rock in comfort and style with this quiet reclining glider. The contemporary design fits in any room, and the plush fabric feels incredible to sit on. There is no end to the number of positions that you can sit and recline in making it possible to get the exact amount of support that you need. It can be fully reclined with only 12″ of wall space making it ideal for smaller living spaces. The reclining lever is easy to pull and lets you choose how far you want to lie back. The gliding motion is smooth and quiet, without any of the squeaks or awkward bumps that you get from other rockers. Its classic design makes the chair ideal for living rooms, while its ability to rock soundlessly might have you considering placing it in the nursery. 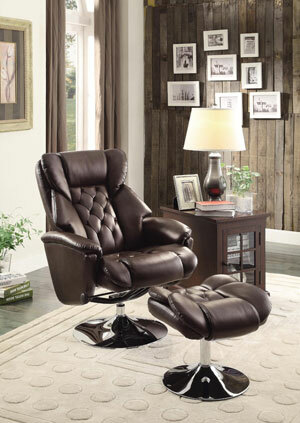 Designed for living rooms, dens, and bedrooms this faux leather rocker recliner is comfortable and quiet. 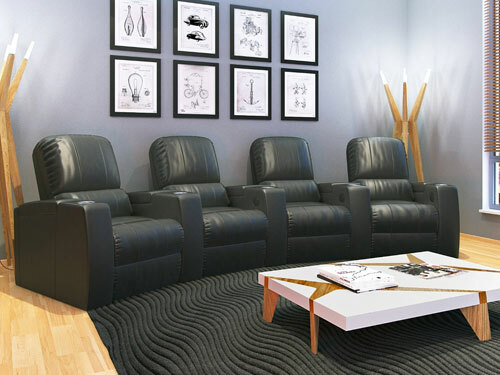 The faux leather upholstery looks real, but is easy to clean and maintain. What really sets this glider recliner apart is that the ottoman also features a rocking base. The rocking motion is smooth and quiet, so it can gently relax you as you fall asleep. The matching ottoman not only supports your ankles and feet, it also uses the same smooth gliding motions. The pillowed cushioning on the seat and back give you plenty of support, and the cushioned armrests only add to the chair’s comfort. 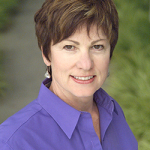 The chair can be locked into place when it is reclined, to help prevent it from accidentally tipping over. Durable and long lasting, this matching faux leather glider recliner and ottoman are a great addition to any room in your home.